Join the Loyal Minion Club! 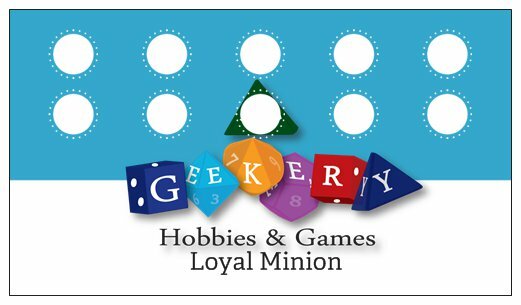 The Geekery is a store that specializes in non-electronic hobbies and games. We sell board games, card games, miniature tabletop games, paints, and hobby supplies. We provide space for people to hang out and play their favorite games. Like and follow our Facebook page for daily updates on upcoming events.